Use compressed air to blow out any dirt or debris that may fall into the combustion chamber when the spark plug is removed. This is very important to prevent engine damage. 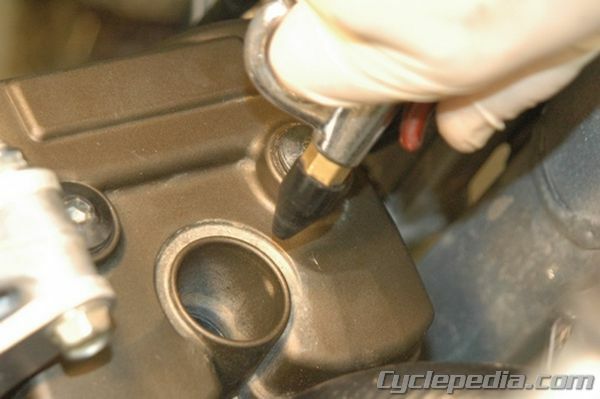 Use a spark plug socket and ratchet to remove the spark plug from the cylinder head, you may need to use an extension as well. There are currently three size spark plug socket sizes used, 5/8″, 18 mm and 13/16″. Spark plug sockets differ from ordinary deep well sockets in that they have a rubber insert to hold the spark plug in the socket for easier removal and installation. 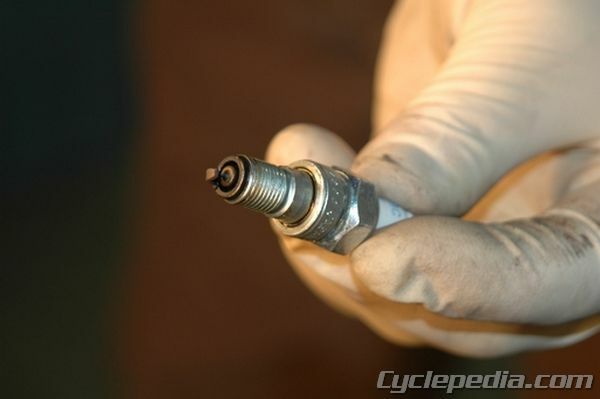 Install the spark plug and tighten it to the torque specification in your service manual. Another way of tightening a new spark plug properly is to install it hand tight, put a wrench on it and turn it another 1/2 to 3/4 of a turn. 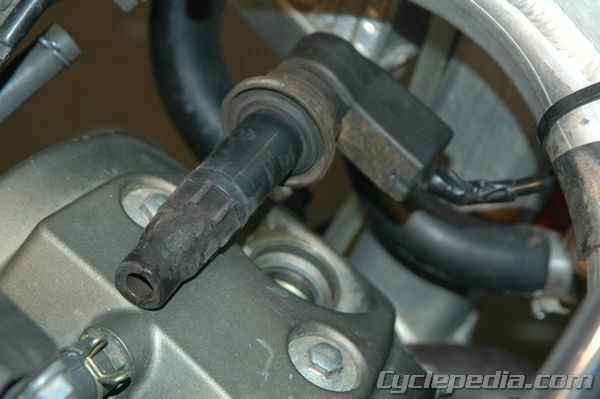 It is common (and damaging) for people to over-tighten the spark plug. 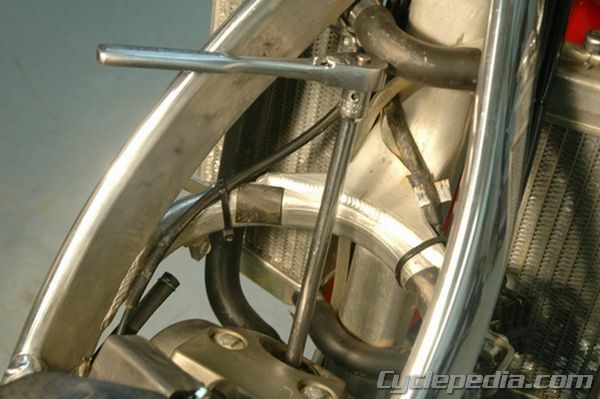 Remember that the threads in the cylinder head are soft aluminum and can be easily stripped. 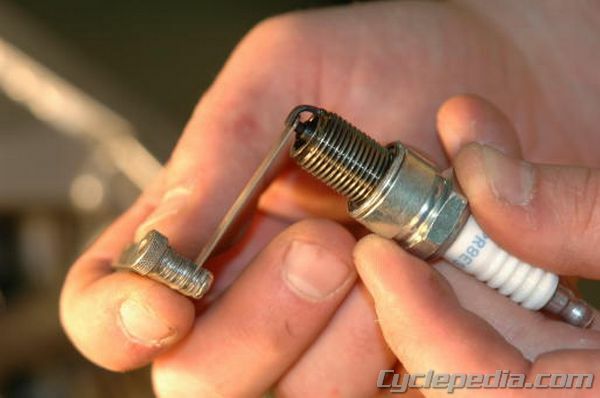 If installing a used spark plug where the sealing washer has already been crushed, install the spark plug hand tight and turn it 1/8 to 1/4 of a turn with a wrench. 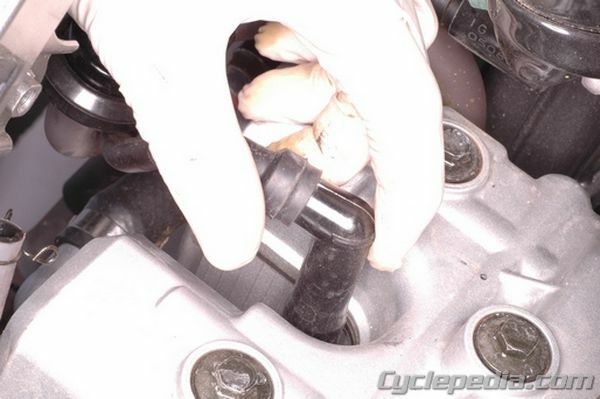 Re-install the spark plug cap or the stick-type ignition coil.